The first Dual core Android beast LG Optimus 2X P990 final available in India and priced at RS 26990. 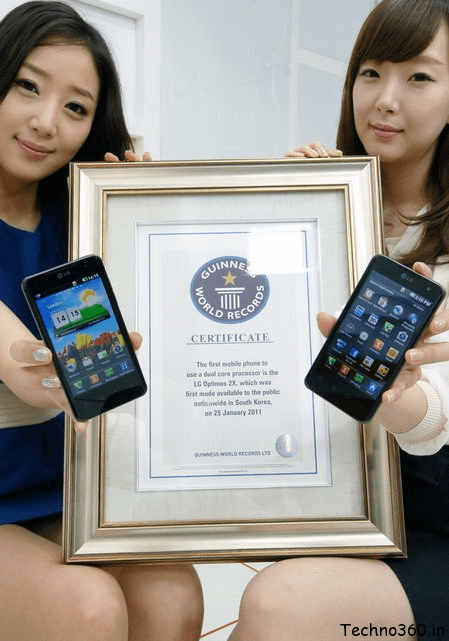 Those who are waiting for Dual core smartphones Samsung Galaxy S2 and HTC sensation, take a look at Optimus 2X which got Guinness record for being the first dual-core smartphone. Optimus 2X – a dual-core Android phone is powered by Nvidia’s Tegra 2 platform and boasts a 4-inch screen, 8GB memory ( dual camera (1.3MP front, 8MP back), full HD video playback and HDMI mirroring, allowing you to output your videos on to the big screen. Optimus 2X is available at popular online store Flipkart for RS 26990 ,but it will take a span of 6-8 business days to reach you once you’ve ordered it. 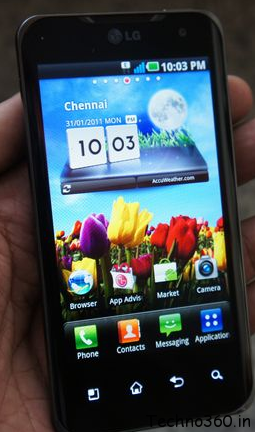 The Price of the mobile is much below the announced price RS 30,000. Vishal Chopra, Business Head of LG Mobile India announced this price in April month at LG Optimus 2X launch. Update: Optimus 2x is available in another 2 popular online retailers much less than Flipkart price. 2. LG Optimus 2X P990 at adexmart for RS 24,490. I think the price of the phone will give strong competition to Upcoming Dual core smartphones Samsung Galaxy S2 and HTC sensation which will be touching RS 35000.